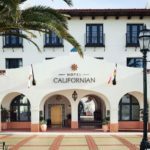 Meticulously crafted by developer Michael Rosenfeld featuring paseos, gardens, fountains, and open plazas, The Hotel Californian, Santa Barbara Beautiful’s Green Commercial Building honoree, has taken its place as a gateway to the city. Offering a stunning rooftop pool and event deck with unobstructed views of both the coastline and the Santa Ynez Mountains, a luxury Moroccan-inspired spa, fashion boutique, and casual dining options, the 121-room Hotel is adjacent to the vibrant Funk Zone and one block from the Train Station. 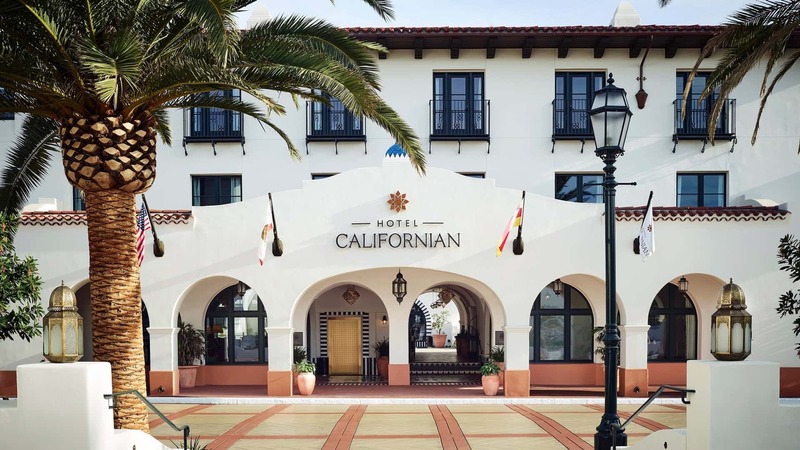 The Hotel’s magnificent architectural features shape the Californian’s forward looking design as environmentally responsible elements find perfect balance – all while fitting in with Santa Barbara’s red-roof style, albeit one infusing a thoughtful Moroccan influence. This project creates a global feeling with a Mediterranean vibe integrating themes, courtyards, cozy arches, gorgeous rafters, and custom light fixtures. All of this includes shade, bio water drainage, palms, and blue urns with bougainvillea. Special to this project, are its best water usage practices. Their storm water management sees 100 percent of runoff water being directed to a combination of raised or subterranean biofiltration planters and to permeable paving. This allows water to percolate into the property’s soil to recharge the water table; rather than being directed to the street and hence to the sea. The Hotel’s green quotient is visible and hidden. It includes a palate of drought tolerant plantings that offer a variety of colors and blooms throughout the year. The primary Event Lawn uses artificial turf as the ground surface. A green lawn of carpet…really only need to vacuum it… needs no water to keep it green. And, there’s a cistern under it. Mark Kirkhart, AIA, NCARB, Partner, DesignARC, Inc.
Mark Shields, Partner/Senior Designer, DesignARC, Inc.
Bruce Bartlett, AIA, LEED AP, Partner (deceased), DesignARC, Inc.